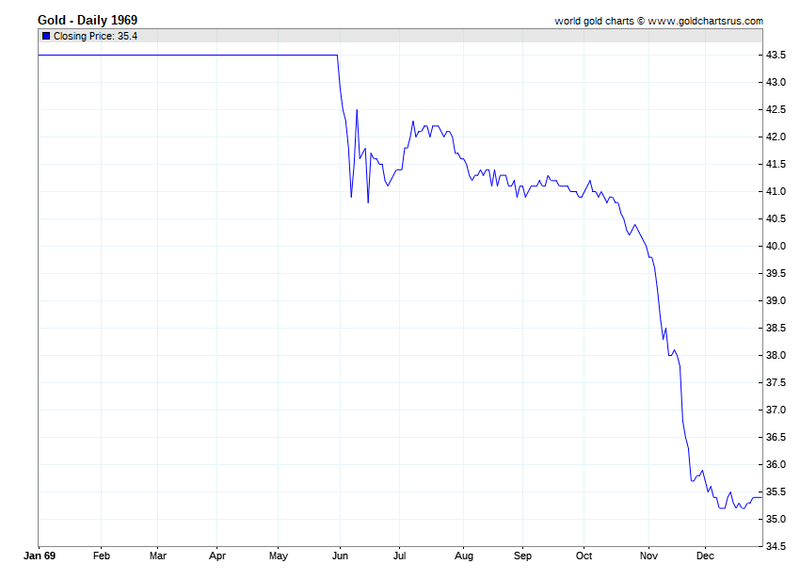 The following data is for Gold Price in 1969. Further Gold Price history and other current information can also be found on our main live Gold Price page. After the failure of the now public record gold price rigging London Gold Pool operation's failure in March 1968, the price of gold was down throughout most of 1969. This was by then South Africa was already 2 years into striking the first modern Gold Bullion coin called the South African Kruggerand still widely bought by global gold investors today. Take a tour of the South African Mint and the Rand Refinery both before then and now in the short video below.